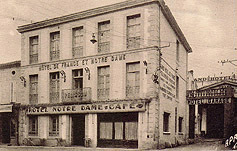 The Hotel de France is over 100 years old. From the beginning of the century, you could taste Cassoulet terrine. The DUNOD family bought the establishment in 1987. 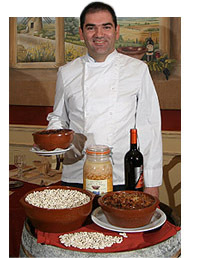 Since then, it has been fully involved in developing cassoulet, first by setting up a manufacturing laboratory in 1992, and then by developing the range of canned cassoulet. 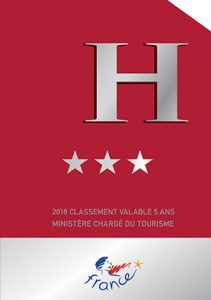 The Hotel de France restaurant Cassoulet Castelnaudary welcomes you in its new setting and offers you 17 fully equipped rooms (with bath or shower, separate toilet, TV TNT, Canal +, WIFI) and its large garage. The hotel is able to accommodate people with disabilities, except people in wheelchairs (no standard room PMR). The establishment is sensitive to issues related to sustainable development in terms of energy saving, economic water management and waste sorting.